At some point, ecommerce businesses have questions about collecting sales tax from online sales. Frankly online sales tax is a mess and becoming more of a mess. Finding the correct answers to these questions is important, sometimes vital, to a company’s survival and success. We have compiled a list of the most common questions we hear, along with the associated answers and links for additional reading. Let us know if you have additional questions so that we can update our list! What is the South Dakota v. Wayfair ruling? 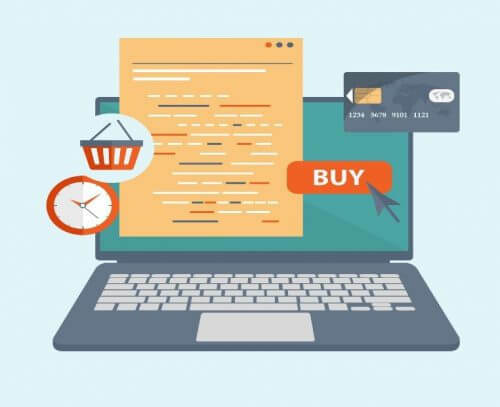 If you are in ecommerce, you have probably at least heard of the South Dakota v. Wayfair ruling in June 2018. This ruling now allows states to tax ecommerce businesses who don’t have “physical presence” within their state. Basically, states are now deciding their own sales tax laws. Most states who have taken advantage of this ruling are requiring businesses with a significant amount of sales within their state, to collect and remit sales tax. It depends. In states where you have “physical presence” (company location, warehouses, employees, etc.) you will need to pay sales tax. For other states, it depends on your “economic activity” within that state. In more simple terms, if you have a lot of sales in a state (economic nexus), you may need to pay sales tax. But each state has differing rules. What does it mean to have nexus in a state? Sales tax nexus is when your company is required to pay sales in a specific state because of somehow being connected with that state. There are three main types of sales tax nexus that require you to pay sales tax: (1) physical nexus, (2) economic nexus, and (3) click-through or affiliate nexus. What does economic nexus mean? After the South Dakota v. Wayfair ruling, economic nexus became important in the sales tax world. Economic nexus is the ability for states to tax businesses based on “economic activity”. Essentially, if you have a large amount of sales within a state, that state can require you to collect and pay sales tax. Not all states have economic nexus laws, but many are moving quickly to benefit. Read more about economic nexus here. What states have economic nexus laws? Economic nexus laws are constantly changing. Below is a map with the economic nexus laws by state. Find more detailed info here. Do I have to collect sales tax on one channel if I have Nexus because of a different channel? Yes. For example, if Amazon FBA has given you Nexus in Washington, you will need to collect Washington sales tax on ALL other channels you sell on. Remember this for all nexus rules. You will need to consider sales across all channels in determining nexus, then you will need to apply sales tax rules across all channels for any states in which you have nexus. If I am a foreign-based company, do I need to worry about U.S. sales tax? Yes, you will need to consider U.S. sales tax for any sales you have in the U.S. The U.S. has been known to seize inventory held in the U.S. for foreign-based companies that are not meeting sales tax obligations. What are the penalties for not paying sales tax? Penalties vary between states. Keep in mind there are two penalties: (1) penalties for not filing on time, and (2) penalties for not paying on time. Usually penalties increase the longer a business has not filed or payed, up to around 5-20% for each penalty. Penalties due to negligence, tax evasion, or fraud can get significant – up to 100% or $25,000+ (usually whichever is greater) in some states. Read more about the risks of not filing here. Does Amazon automatically collect and remit sales tax? The answer is no, in most states. Six states have sued Amazon, resulting in Amazon being responsible to collect and remit sales tax in those states: Connecticut, Minnesota, New Jersey, Oklahoma, Pennsylvania, and Washington. Read more here about Amazon tax collection in these states. Choose shipping & handling and gift wrapping sales tax options – the shipping & handling and gift wrapping sales tax laws differ between states. Does Shopify automatically collect sales tax? In “County, municipal, and state taxes” section, add a physical presence for all your nexus states. With nexus states based on non-physical-presence laws, enter any zip code for that state. For more details from Shopify, click here. What is the journal entry for sales tax? Where should you find sales tax on your financial statements? Sales tax SHOULD NOT be on your profit and loss statement. It is not a cost to your business. Rather, sales tax is a liability that you owe to the state. You should have a sales tax liability account that increases as you collect sales tax and decreases as you pay sales tax. Read more here about how to handle your sales tax funds from the time you collect until the time you pay. On financial statements, is sales tax an expense or liability? Sales tax is a liability owed to the state. You should not see sales tax on your profit and loss statement, as it is not an expense. How does an ecommerce business stay sales tax compliant? Sales tax compliance is very complex in the ecommerce world. We highly recommend using sales tax automation software. At LedgerGurus we use Taxify and TaxJar, which are great software for small- to medium-sized businesses. These automation software companies automatically connect with your sales channels to collect sales tax based on up-to-date nexus laws. They also can automatically file and pay sales tax on time. Should I hire a sales tax consultant or expert? A SALT (state and local tax) consultant: a high-level sales tax individual who understands nexus laws, the implications, the risks involved in sales tax compliance, and can help you create a strategy. You should only need to meet with them occasionally for guidance. They are great to meet with if you are a little behind on getting compliant, becoming exposed to sales tax laws, and/or you have any circumstances that make your nexus unclear. If you need a list of people, LedgerGurus can recommend consultants we really like. Sales tax compliance accountant: If you aren’t using a sales tax automation software, this is someone who can stay on top of managing your filings (monthly, quarterly, or annually depending on your company size). You can often find someone like this at a local tax firm or at firms that specialize in sales tax. You can also hire someone in-house to manage this for you, but someone really needs to be on top of it. Make sure to calendar all your filing obligations and make sure it’s happening. We have a list of some people we like if you need a recommendation. Ecommerce sales tax expert: This is a solution like LedgerGurus that can manage sales tax settings on your sales channels, integrate and manage sales tax software like Taxify or TaxJar, and has the compliance support to stay on top of all your sales tax compliance needs. If you have nexus in more than five states and need your sales tax compliance to be more scalable, we highly recommend an ecommerce sales tax expert.